Care to be Different > Articles > NHS Continuing Healthcare > Who pays for care when someone is Sectioned? Understanding who pays for care when someone is Sectioned is something that is actually quite straightforward. It’s important to be aware of some key points, though. As a separate thing, if a person’s behaviour and/or mental health poses threat to themselves and/or to others, that person may also be ‘Sectioned’ under the Mental Health Act. Being Sectioned means the person is effectively detained, either in hospital or in another kind of care facility (including a care home) for everyone’s safety. The person will be detained under Section 3 of the Mental Health Act, and the care they need (known as aftercare) relates to Section 117 of the same Act. This care is often known as ‘Section 117 aftercare’. So who pays for care when someone is Sectioned? In a nutshell: Clinical Commissioning Groups (CCGs) and local authorities pay. The individual should not be charged. Under Section 117 CCGs/NHS and local authorities are obliged to provide free care until the Section is lifted. This free care relates to the needs arising from the actual mental disorder or cognitive impairment that led to the Section. It applies to people with or without dementia who have, for example, challenging behaviour or who are a risk to themselves. 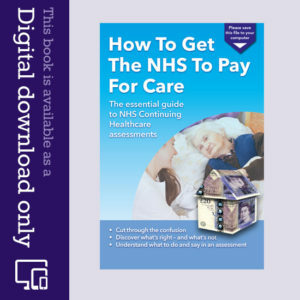 The person may have additional care needs that are not related to the Section – and these needs should be assessed separately, for example via the NHS Continuing Healthcare process, just as they would be if no Section were in place. The budget for Section 117 aftercare is not the same as an NHS Continuing Healthcare budget. Regardless of whether the 117 aftercare services are provided by the CCG or the local authority, this 117 care should never be means tested. There is no long funding assessment process for 117 aftercare services (unlike with NHS Continuing Healthcare where the process can be extremely drawn out). Instead, if a person is Sectioned, the relevant care is funded by the state – and that’s that. All other Continuing Healthcare rules remain the same, regardless of whether a Section is in place. Also, just because a person is in receipt of 117 aftercare does not mean NHS Continuing Healthcare funding can be ignored for additional needs. The availability of 117 aftercare services doesn’t mean that everyone with severe dementia and challenging behaviour will automatically receive free care. There needs to be a Section in place first, and this is a separate thing to Continuing Healthcare. However, the two can run in parallel. Even if a Section is lifted, the person still doesn’t necessarily have to pay for care just because they have savings. As in all cases, it depends on a person’s health needs first and foremost. The NHS’s duty to provide funding for nursing care – and its duty to assess all needs properly – still applies, and no Section should be lifted without proper re-evaluation beforehand. If your relative is currently under a Section, and that Section is then lifted, be sure to check this has been done with full and proper review and reassessment. If you suspect the Section has been lifted to force your relative back into means testing, be sure to complain. In addition, if you find that a Section has been conveniently lifted the day before an NHS Continuing Healthcare funding assessment, question this thoroughly. Do you have personal experience of this issue? Find out more about NHS Continuing Healthcare funding and how your relative could be eligible. Hello everyone, I’m looking for some advice. My mother developed advanced stages of dementia after my older brother passed away, it got very bad very quickly. I had no choice but to section my mum back in 2007 to a care home called Franklin House in Oldham. She resided there between 22.10.2007 and 19.12.2010, where she passed away. My father passed away in hospital shortly before this. It was only recently whilst speaking to a solicitor to try and deal with my mum and dads house, that he mentioned my mother should have been given free care. I’ve looked into this and can see that it is apparently ok to have incorrectly charged care fees, as long as it was before 2012! I’m struggling to find someone to speak to, I know they won’t pay back the £20,000+ (which they really should) that my father paid, but they also have a land registry on my parents house for roughly £51000. What should / could I do to make someone see sense, and get the registry removed? It is for money that shouldn’t be owed…… I have to leave the house there rotting until this is resolved, and I’m not prepared to let it go to paying a debt that shouldn’t be there, my parents worked hard to but the house. Any help / advice will be gratefully received! They won’t just volunteer to pay. It may be an expensive option initially, but get a specialist legal person who knows this field it could save you a lot of money and stress in the long run. You could try talking to age concern or the Dementia website. I hope you get get what is owed to you and interest. Don’t give up! These are all tretment sections. I’m sorry to hear that you have lost your mum. There are a number of questions, relating to your mums care that need to be clarified. When you say ‘sectioned’ do you mean by a health professional or doctor? If you did then it would mean that your mum would receive Continuing Health Care. If you placed her in a home then she should have been assessed by either social services or the NHS to see if she qualified for CHC. The land registry that you mention is probably a charging order that the local authority has taken out for the fees payable to the care home. You will have to keep the receipts that were provided by the care home and work out the cost of her care to see if it falls below the £51,000. If it doesn’t when the house is sold the LA will recover the cost. There are a number of solicitors who can work with you and charge on a no win, no fee basis. You don’t mention if you had Power of Attorney for your mum’s affairs which would have made everything easier or if she left a will. To prove CHC you may need to access her medical records. Unfortunately, the LA and NHS will put barriers in the way of people who they determine do not have a primary care need. Have a look at the domains that are crucial for a successful CHC claim. You may want to visit your local Citizens Advice for more information. I know some bureaus are taking on advisers just to deal with these issues. Wishing you all the best. Lynne. Just posting an update to where I am at with trying to get funding for my mother. She was put on Risperidone by the mental health team and was found on the floor of her residential home a few weeks later. We had a meeting with her psychiatrist and asked her to be taken off the drug. We were never consulted prior to her being put on it despite having LPoA. The psychiatrist agreed (my mother has lost her mobility and a trip to hospital did not find a physical reason). My mother was put on the drug without our consent. A few weeks forward and my mother had an episode of aggressive behaviour and they want to put her on it again, permanently. I have declined stating that her needs are not managed in the residential home who are threatening to section her at the next episode. The adult mental health team are now pressuring me to put her back on the drugs as carrying out the threat means she will automatically be eligible for NHS Continuing Healthcare. I have sent off a letter of complaint and asked for a proper assessment that will lead on to stage 2 and the Decision Support Tool. She also has frequent UTI’s (hospitalised twice since a resident with acute kidney failure), stage 4 kidney disease, osteoarthritis, osteoporosis, kyphosis, high BP, heart murmur, Lewy Body Dementia and vascular dementia (advanced), anxiety and depression and a history of suicide. She received ECT in 1963. I am contacted constantly to have consent to put her back on the drug and I’m standing my ground. No drug in this unsafe environment. Anyone else been through this? Just a few points from your post. If your mother did not have mental capacity, the team should have consulted you as part of a Best Interests Decision. It doesn’t matter whether you had a LPoA. Either way you should be ‘consulted’. The team do not need your consent but they should ‘consult’ carers/family as above. Personally, I have fond Risperidone the best drug for aggressive person with dementia but starting at the lowest dose and slowly increasing it but never a high dose. Also, the drug should be reviewed every 10-12 weeks. No one can threaten to section but only to request an assessment. The decision to section is only ever taken after an assessment, usually by to doctors and an AMHP. You are right to raise concerns and ask for a through assessment. However if the team feel that it is in her Best Interests, they should prescribe it. My father has been in hospital for 5 months and has been ready for discharge into a nursing home for 9 weeks. We have already been up some blind alleys trying to secure funding. We know now that he should be funded under section 117, and has been in the past. Two suitable nursing homes with places have been identified, first by family and then, after some time, by his social worker. The homes contain mostly state funded residents (including section 117 funded) and are within reach for family members. However, his social worker seems to be taking little meaningful action, and during every phone call refers us to two homes she has identified that are much further away and difficult for family to access, which she describes as ‘best value for money’. What leverage do we, his family, have in this situation – do we have the right to refuse their suggestions and insist on the homes that meet his best interests? We are desperate to prevent him being isolated in his last weeks /months. Hi, I wondered if someone could help me. My mother is in a residential home and funds her own care. We could no longer cope with her at home because of her being a risk to herself, wandering and aggressive behaviour. She has Lewy Body Dementia, Vascular Dementia, TIAs, frequent UTIs, scoliosis, osteoarthritis and osteoporosis. The residential home telephones us constantly to say that she has shown aggression and have contacted us on more than 3 occasions to ask us to move her to another home (we have never been given formal notification to quit). The psychiatrist she was seeing prior to going into the home has put her on Risperidone, twice daily. The home manager wants another dose in the night as she wanders into other resident’s bedrooms and disturbs them. My mother was admitted to a mental health hospital in the 1960’s for ECT treatment and so the Mental Health Act 1959 applies. Is this enough to push for her to have an NHS Continuing Healthcare assessment? Does your mum have a CPN ? Elena, my mother does have a CPN and a psychiatrist who review her at the residential home from time to time. she also has a social worker. Unfortunately, they keep saying she is now ‘managed’ by her medication (Risperidone) and they don’t feel it necessary for a full NHS Continuing Healthcare assessment..
My father has been resident in an EMI nursing home since November 2015. He was placed there by the Local Authority (LA) following a long stay in hospital and is sectioned under a 117. Since then the LA has charged us family top up, which is a lot of money (my father has no money of his own.) We are finding it very difficult to pay that amount. Should they have been doing this? Hi my mum has been under a Deprivation of Liberty Safeguards (DoLS) for over 2 years now and living in a care home and paying her own fees. She had Vascular dementia, COPD and diagnosed with a personality disorder and was was Bi-polar. Sadly she passed away last week and we were wondering as a family whether the LA should of been paying her Care fees over the period whilst she was under the DoLS. Plus in this section there comments about Continuing Healthcare which we were not made aware of. Just wondering should my Mum’s social worker given us this information at the time of the DOLS being enforced. The Deprivation of Liberty Safeguard is probably irrelevant as far as whether they should pay costs towards her care. If She had ever been detained under Section 3 of the Mental Health Act then the local authority in which she was resident at the time would probably have responsibility for paying some of her care costs as long as the mental health condition for which she was receiving treatment for under this section continued to be present. This responsibility may be life long. Not strictly correct. The CCG and council share responsibility for funding what is needed under section 117 to prevent a hospital readmission for the condition that resulted in the section (nothing else). This could be care home costs. However section 117 is not life long. It’s as long as the person is subject to section 117. The section can be lifted if clinicians feel the person no longer has that need. If someone is taken off and things go wrong, they can be put back on it again. It the person is detained on a treatment section again (not just s3), it starts all over again with the s117 only for that disorder. funded nursing care and CHC are separate and would be for physical health reasons, not to do with the mental health condition. My mother has dementia and was sectioned for her own safety. She is currently on a short term detention with a view to moving her to a care home, as she is no longer safe in her own home. She had no insight into her illness so has refused to accept she needs extra care. She will not go willingly so they are talking about moving her with the mental health act and maybe a compulsory treatment order. Can you explain what this means and who should be paying for her care? My step father is elderly and in hospital he has vascular dementia and was admitted with a bowel issue that has been resolved. He has been waiting to be assessed, he is confused and gets agressive, they put a DOLS in place and in the last 2 weeks he’s injured 4 nurses and had to be restrained, everyone on the ward was scared. The RAID team came 3 times so we complained to PALS and this week he has been moved to a secure unit at the hospital for elderly people with dementia. I think he has now been sectioned, so would that start from now or when he was admitted? 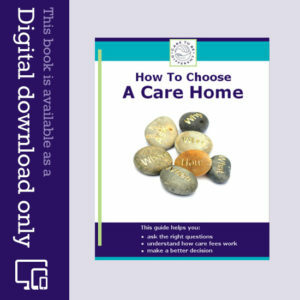 If this is a section 2 and he moves into a home soon, should his care be funded or not? My understanding is that after 28 days they should take out a Section 3 Care Order 117 and then it would only be paid for if that happens, is that correct or not? At the moment no one has LPA they are applying for an advocate I have no idea how long that takes…. Section 117 aftercare only applies to people detained on treatment sections like section 3. The aftercare kicks in on discharge but can fund support during hospital leave. Section 2 is just for assessment. If the person is unwilling to accept treatment or remain in hospital an assessment with a view to section 3 would normally take place. Community Treatment Orders are only for people who have been first detained on treatment sections like section 3. They cannot be used following assessment on section 2. Therefore, section 117 aftercare applies to people on CTOs. My brother is on section 3 he had Alzheimer’s, what happens to his state pension? My mother in law was in a care home when she was sectioned. Her care home fees are now being paid by the LA even though she is no longer sectioned. This will remain as she is at risk of being re-admitted. However, what concerns me is she still retains her full pension and part of her disability benefits (just not the care bit). Surely in these days of austerity she shouldn’t be entitled to all this money? She doesn’t spend hardly any as everything is paid for. She has a huge nest egg which could quite easily go to someone more needy. Do you have any case law references citing section 117 in section 117… even any published appeals against trusts/local authorities? Hello, my father has dementia and has escaped several times from the nursing home he was at. The last time involving him being found by the Police and taken into hospital, he returned to the home, but a few weeks later they served notice saying they could not meet his needs, as he was occasionally aggressive, over protective to females and basically got himself into trouble. Shortly after this, I got a call to say they were going to get a team of doctors to section my father, I was horrified, as I was due to go on holiday and had lost my mother in law. On the following week and the day of the funeral, they called to say dad was being sectioned. I explained I was going on holiday that night, and they couldn’t tell me what time this would take place. It was done at 11.30pm – horrendous he must have been asleep to be awakened, sectioned and taken to a secure unit at the hospital. I didn’t get to see him until I returned from holiday 10 days later. He is very confused, he is still getting aggressive. The section 2 ran out on Tuesday and he is now under a section 3, as they are trying to sort his medication out to make him less anxious and aggressive. Obviously he still needs EMI nursing care and there are very few decent homes locally, especially with beds available. Dad previously has continuing healthcare funding but now I am expected to ring around 3 EMI nursing homes invite them to assess him, get a quotation for his care so that it can be looked at by the funding body. Problem is nobody will come out and do it because they have no availability only one home which is the one I want him to go to – but it could be thrown out because I haven’t provided three quotes, how ridiculous is this – my dad isn’t a decorating job – its his future. I’m so cross at the process that I now have to go through again after such a short period less than a year and through no fault of his own, the nursing home being inadequate and can’t take care of him; they don’t have enough staff and they just section him. At the end of the day I need my dad settled and hopefully happy. My mum died 18 months ago ;sometimes he cant even remember her. We just want the best for him not locked up and expected to sit in a chair all day with no stimulation. It’s so sad to see him, especially when he cries. Any guidance would be greatly appreciated. Kathy – what a distressing situation to be going through – and the way the Section was carried out sounds dreadful. You shouldn’t have to get quotes for care homes to send to funding bodies. Your dad should be reassessed for Continuing Healthcare before anyone starts talking about money and paying for care. If he has care needs outside the Section then these should be assessed – and if he meets the Continuing Healthcare criteria then the NHS should be funding him for those needs. You may want to seek some legal advice on the Section issue, but also make sure you get the Continuing Healthcare process started. That all sounds awful for you and your dad. I totally understand your frustration and distress. I think my family are about to go through something similar. Can you update us as to what happened with your dad? My dad has been in a care home almost a year with vascular dementia and Alzheimers, frontal lobe presentation so he exhibits challenging behaviour. He sometimes hits out at staff around personal care. We chose the home carefully and were up front about his behaviours because we wanted to avoid the trauma caused by moving him around. He was awarded Continuing Healthcare funding and we had a 3 month review in April. We’ve now been called for another review even though according to guidelines the reviews will be annually so the next one should be April 2017. We have questioned why we are having yet another review and have been told it is because his behaviour is challenging and as a result there should be a 6 month review and psychiatric intervention. We have only just seen the assessors report based on the 3 month review and it is strongly suggesting my dad’s care home can’t cope with his behaviour and he needs a psychiatric assessment. We were present at that review and the care home manager clearly stated they could cope with his behaviour. We aren’t aware of any psychiatric assessment taking place. This is the first time we’ve heard the idea dad is potentially unmanageable in his current setting – nothing from the care home i.e. they haven’t been ringing us with a series of incidents etc. I feel there are other factors at play here rather than dad’s needs. Dad would be totally disorientated and distressed by moving to hospital and then having to go elsewhere. When I remember the stress of looking for a suitable place the first time, the idea of going through the process again fills me with dread. So I am clear about all the implications, will we have to go through the whole CHC assessment process again if he does end up in hospital? Have other people been in this position? I think you’re right to be suspicious, Kim. Do you have any advice about how my mum and I approach the review? Or anyone we could go to for advice? The whole system is far from transparent ! Kim – approach any review in the same way you would for an initial assessment. Be sure to know what outcome you want in terms of each domain and be prepared to back that up. If/when your dad is back in hospital then it indicates his care needs have likely increased. Funding should only ever be removed if care needs have decreased AND decreased to such a level that they are now primarily social care needs. Challenge everything you know to be wrong in what the assessors are doing. Is this just a financial move from the NHS, Can she still be eligible for section 117. They can put her on a DoLs but should have considered a section 3 assessment if she still needed treatment. My question is a bit similar to the previous comment. My mother has been in care for the last 3 years following a best-interest decision related to her dementia. It is a locked door environment. Recently, I received a DOLS notification and assessment report. She is (quite rightly) being detained but not so far as I know (I hold registered POA for her) under any Section. Is this possible? In either case should she be paying for her care? Grateful for any advice. DoLs has nothing to do with funding. You would know if she is on a section so the questions are is she a self funder and has she had a checklist completed for FNC/CHC? My mother is being assessed in a hospital assessment ward. When she was admitted she was sectioned, they have now put her on a DOLS. She has Dementia/Alzheimer’s and urinary incontinence, Hallucinations. Today a Continuing Healthcare Checklist was completed by the Nurse. A social worker was also present together with my wife and myself. Her score wasn’t high enough to apply for NHS funding. Does her being on a DOLS qualify her for funding? A friend signposted me to your site. My mum had mental health issues of chronic depression through the later years of her life. As the sole carer around four years ago she was admitted into a residential care home after a very difficult Christmas. I was never offered any direct support or a Continuing Healthcare (CHC) assessment. In 2012 after watching Martin Lewis I was advised to process a claim for an NHS Continuing Healthcare assessment in respect of episode of care: 1 April 2004 and 31 March 2012. I processed this claim on the 12/9/12 and have recently had their response after nearly four years. Throughout the process I had very little or no contact from their team (I did all the chasing). I was told that I could submit my evidence throughout the process. I requested that I could do this at the end. My request has been turned down as my mum did not meet the criteria. She has been admitted to Clatterbridge hospital on several occasions but went voluntarily. On one occasion she took a small overdose and was admitted. My mum was at her happiest when recieving help from health professionals. I do believe if she refused to go she would have been sectioned. The trigger questions state “detained under sections 2.3.35, 36 or37/41 of the Mental Health Act 1983 or patients admitted compulsory to hospital (NHS or independent) under the terms of the mental health actor a patient who would meet the requirements of the Act but are willing to be admitted voluntarily”. I have all the paperwork and have been told I have twelve months to process my complaint although I see it more as an appeal. I am at the point of requesting her health records. Please could you advise as I am pretty exhausted. It is not about the money but more of the principle. My husband has been in hospital for two years under Section 3 and released on Section 117 to supported living without my knowledge and consent. I only agreed for a trial night and they moved all his things secretly. It was a collaboration between a private organisation and the doctor at the hospital. I agreed to pay for food and utility bills from his disability allowance. After being there 3 weeks they have sent me an invoice for £400 and water rates for whole year. If I dont pay they are applying for deputyship over his pensions and everything. I am already financial appointee but have not got power of attorney. I will have to apply for deputiship which will leave me with no savings. They have been trying to apply for housing benefit but nothing yet. I want him back home and off this Section. What can I do? Its terrible. Our previous response should help you to a degree, Teresa. My child has been sectioned and sent to a hospital miles away. Where can i get help to pay for travel to see her? AgeUK may be a good starting point for more information about financial support for travel costs. Thankyou very much for your reply. Now I must work on getting the necessary forms to fill in in which I had already asked the hospital to provide this assessment, but they said an assesment has already been made by the council but I dont think they bothered to apply for this Continuing Care. He is due to be discharged soon under section 117 to assisted accommodation where the caring only will be funded but not the rent, water, gas electric etc or rent which is substantial at 140 a week. The private company has applied for housing bebefit but I know he wont get it. due to his pension income of 1,200 which they take into consideration as a single person which would leave me nothing to live on! There is something wrong and I have to do a lot of reading and form filling to fight this. My husband who has frontal lobal dementia and has been under Section 3 and in hospital for 2 years is due to be discharded to an assisted living accomodation on Monday, where I’m expected to pay for everything from his disability living allowance, which is not yet due. I cannot afford his pensions to be used as I need it to live. on. I know I wont be able to pay the rent although they have applied for housing benefit which he won’t get as his pension income is 1,200 a month. I refuse to pay his future rent. He will be on Section 117. He has not been asessment for NHS funding. I think he needs to and wants to come home and so do I. Can he be forced to stay under section 117? Section 117 isn’t forced on people. It is offered and the person (not you) can refuse it if they wish. The aftercare is to pay for support that would help prevent a readmission to hospital with the illness that he was sectioned for. That’s not necessarily utilities. Whilst it would be good for him to return home with you, if he doesn’t the pension is his to use and you should perhaps get a benefits review for yourself. The answer is in the question: “his disability living allowance”, “his pensions”. I have read the following extract from a document called “………. There is the following information about exceptions to CHC assessments listed below my question. My question is this please. I HAVE A RELATIVE CURRENTLY ON A SECTION 3 OF THE MENTAL HEALTH ACT. SHOULD I REQUEST A CHC ASSESSMENT WHILE THEY ARE STILL BEING HELD UNDER THE SECTION 3 BEFORE ANY DISCHARGE PLANS ARE MADE? (sorry for capitals but I wanted to make my question stand out from the actual document I have referred to). a) Section 117 . The main exception to the above is where the individual is subject to Section 117 of the Mental Health Act 1983 and solely requires care and support for his/her mental health aftercare needs. Section 117 applies after an individual has been the subject of a compulsory order under the Mental Health Act 1983 (usually section 3, but it could be a hospital order made under section 37, or a hospital direction made under section 45A or a transfer direction made under section 47 or 48). In such situations the NHS and LA have a statutory joint responsibility to arrange and fund the necessary support under the terms of their local arrangements for this. An individual subject to section 117 should only be considered for NHS CHC where they have significant healthcare needs which are not related to their mental health aftercare needs [see Framework 118-122]. I am a bit confused as to how/who/when to ask the questions . Appreciate any comments/opinions/advice anyone has to offer. Thank you for your kind assistance. It is my understand that that when a person is under a section, their care relating to that section will be funded. When the section is lifted, their ongoing care needs must then be assessed, and a Continuing Healthcare (CHC) assessment may be appropriate at this point – before the person starts paying any fees themselves. You could make the point that you expect a CHC assessment to take place at the point where the section is lifted. Section 117 will fund support needed to prevent a re-admission for the condition that they were sectioned for. If that person has other health needs (physical), section 117 will not cover those. For those, a CHC checklist should be completed and then a Decision Support Tool for CHC if indicated. A person can be on section 117 and receive Funded Nursing Care of Continuing Healthcare. Is it true that if they are held under section 2 for more than 28 days then it moves to a section 3? I am having a massive battle with social services and now waiting to speak to NHS again. Very stressful and disgraceful way to behave. It’s been a nightmare! Section 2 is only for 28 days and cannot be extended. If the person needs treatment, they will be assessed for section 3. There is no ‘move’ as such and the section depends on the outcome of the assessment. It is never guaranteed. The section can of course be rescinded before the 28 days if necessary. Please can anyone tell me what are the conditions required to be released from a Section 2 and 3 of the Mental Health Act? Since I cannot at the moment access any records prior to 1983 to confirm my dad’s section but I am sure he was sectioned. I’m now trying this approach – the conditions that have to be met for someone who is sectioned to be released from that section. I can then look at my dad’s situation and go from there. My father was sectioned under Section 2 but was detained in the hospital for 56 days and then taken to a care home nearer to my mum. I have asked why he isn’t receiving 117 aftercare? His social worker said that when his section 2 came to an end on the 28th day he was placed on an urgent Depravation of Liberty Safeguard. I have asked who applied for it and when but i have had no reply since the 7th july and i have sent it twice now. I am no health professional but even i can tell you that he is no better. No one has advised my mum about aftercare, and all anyone wants do is a financial assessment by the county council. So as he was assessed by a doctor, a mental health professional and a psychiartrist and they agreed that he should be Sectioned under the Mental Health Act should he be receiving aftercare. You’re correct to ask for the paperwork relating to the Section and the Deprivation of Liberty Safeguard (DoLS) – and it’s interesting that this has not been forthcoming. It could (possibly) indicate that there is in fact no formal documentation relating to this, which of course would call into question what you’ve been told by the social worker. For a section 2 MHA (1983), section 117 aftercare is not applicable. for inpatients the hospital would have applied for the urgent DoLs after the section 2 expired. Neither have anything to do with funding. However a CHC checklist should have been completed. Technically, they were not “detained” as you put it for 56 days as the word, ‘detained’ refers to the Mental Health Act (1983). They were on section 2 for 28 days (or less) and then became informal. As the person was assessed as not having mental capacity, the staff applied for an urgent DoLs. It the person needed further treatment, an assessment for section 3 would have been prudent. Hi, my father in law has just been moved on to a Section 3 of the mental health act. His psychiatrist at the meeting today said because my father in law is now subject to a Section 3 he will automatically be able to access section 117 aftercare. Unfortunatley we have been misinformed on a number of occassions so far so are reluctant to automatically presume this is correct without further clarification, can you comfirm or suggest where I could look further to confirm. Many thanks. Having only been conned with a section 2 sectioning of my mum I cannot comment other than to remind you to get a CHC assessment done when it becomes apparent that the section 3 is about to be lifted. That your father in law is going to be discharged back to his GP or for “care in the community”. Make it known that unless there is an obvious or complete recovery then the need for CHC assessment might well be required, especially if they try to put your father in law into some NHS hospital recovery / Nursing / Rehab facility that is not considered to be a NHS hospital. I wish you well. Hi Kirsty – there’s quite a lot on the internet about this, and so if you google ‘section 117 aftercare’ or something like that, you should find some additional information to help you. Hi Adrienne – the doctor’s statement about likely eligibility is, sadly, typical of many people who work in the health and social care system. Many families are told that Continuing Healthcare is only for severe needs, or that’s it’s only for this that or the other, when that’s actually very misleading, as it places an undue emphasis on specialist medical supervision in determining eligibility. Yes I would like one-to-one help actually but, I cant find the link at the end of the book your talking about? Please let me know on which page I can find it. In the meantime, I talked with the Consultant Psychiatrist on our telephone meeting last Wed. He told me that they are undertaking a Memory assesment and that my Dad is at the Moderatley/Severe stage. His 28 days is up on Sunday but, they will probably keep him in indefinatley. The Doctor didnt think he is entitled to NHF continue funding because thats only for people with severe needs and who need one-to-one care 24 hours. Thats it so far. They are looking to send him to Macclesfied until a Care home is found which fits his needs. Thats it so far. You’re not the only one to have lost trust in the system. Adrienne. Sadly, it has shown itself often not to be trustworthy. If you need one-to-one advice at any point, we’ll be happy to help. You’ll find a link at the end of the book you’ve purchased. I do hope you’ll find the book useful. Hi. Thank you for Your reply. I bought Your book at the weekend and im still trying to work my way through it so, im sure I will come to the Points at some stage. I have asked the hospital for a Telephone Meeting With the persons in charge of my Dad, Im hoping today to have the first Meeting. So my intention is to see what they say to me first, and work from there. Im going to ask for a weekly Telephone Meeting from here on. Because I am not in the country they have asked for the Next relative to be the main contact persons and she had a Meeting at the hospital last week. One of the first Things she was asked was about Money and if he owned his own house. Well, he does`nt actually I do but, I hav`nt owned it long enough ( 4 years) so I could have some problems With that? If my Dad does (and probably will go into care) I intend to rent out the house, that is also my Dads wishes and wishes I hope I can full fill. My Dads niece also told me that the Social worker who worked With my Dads care before will be contacting me to discuss this matter but, I cant understand why he would seeing that my Dad, as far as I have been told, is still under assessment? Its a terrible thing to say but, deep Down I really dont trust the system and thats why I started to searched for answers so, im very pleased I came across Your site and I know now that I have someone I can contact if there are questions I dont understand. I keep you posted.